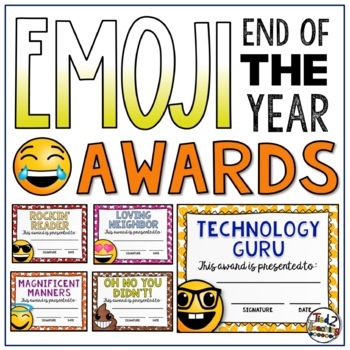 End of the Year Awards: Emoji Style! Emoji's! 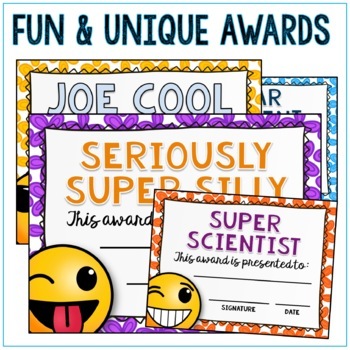 Your kids will love these end of the year awards! 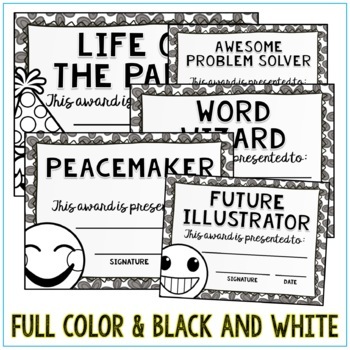 These certificates are perfect for the end of the year or any time! Included you will find 40 UNIQUE AND FUN EMOJI AWARDS in both FULL COLOR and BLACK AND WHITE!!! In addition, they are editable!!!! Just type the student name, your name, the date, AND PRINT! Awards made easy! The certificates come in both a PDF and a flattened Power Point format. To edit the awards just open up in Power Point and edit the name and date in the font of your choice! The editable certificates are quick and easy! Just type the name and date and they're ready to print! If you would prefer to hand write the names then the PDF format is the one for you! Both are included in this comprehensive pack! The awards you will receive are listed below. What a great way to celebrate your kids! 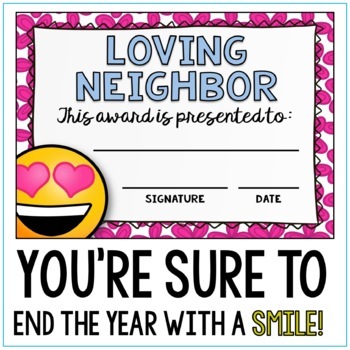 You are sure to use these awards time and again!